When developing strategies to defend our Nation’s Energy and other critical infrastructure sectors from cyber threats, it is sometimes easy for the national security community to overlook significant resources and capabilities that already exist. In this study, entitled “The Cyber X Factor of the Savannah River Site: An Assessment of the Potential for the Savannah River Site Region to Address our Nation’s Cybersecurity & Resiliency Needs,” the Institute for Critical Infrastructure Technology conducted a strategic assessment to better understand the cybersecurity capabilities which exist in the Savannah River Site (SRS) region and understand whether resources, facilities, and capabilities could be leveraged to enhance the security and resiliency of our Nation’s critical infrastructure assets. ICIT believes that the SRS region is ideally positioned and equipped to assist in national security missions and defense of the electric grid and other critical infrastructure assets and is poised to emerge as a major national cybersecurity hub. The SRS houses the Savannah River National Laboratory (SRNL) and is near Fort Gordon, which will be the permanent home of the U.S. Army Cyber Command as of 2020. The SRS features ample facilities with strong security ingress and egress; has strong ties to local agencies, facilities, and communities; and is surrounded and staffed by a growing security-aware workforce that has demonstrated commendable cybersecurity and cyber-hygiene practices. Opportunities for existing facilities in the SRS include a cybersecurity first response, a vulnerability clearinghouse, a testing and emulation site, a centralized cybersecurity hub or Security Operations Center (SOC), or any number of roles and capacities supporting national security and critical infrastructure resiliency. An SRS-based initiative would be able to leverage the unique synergies that exist between Fort Gordon, SRNL, and local higher education institutions in order to combat the hyper-evolving threat landscape, address the developing needs of national critical infrastructure, and promote cybersecurity and cyber-hygiene training and awareness. Local area partnerships are available with national security entities, critical infrastructure organizations, leading academic institutions, and reputable defense and healthcare organizations. The SRS is a welcoming, vibrant, and economically thriving region, rife with unparalleled development opportunities and featuring a low cost of living for a high quality of life. 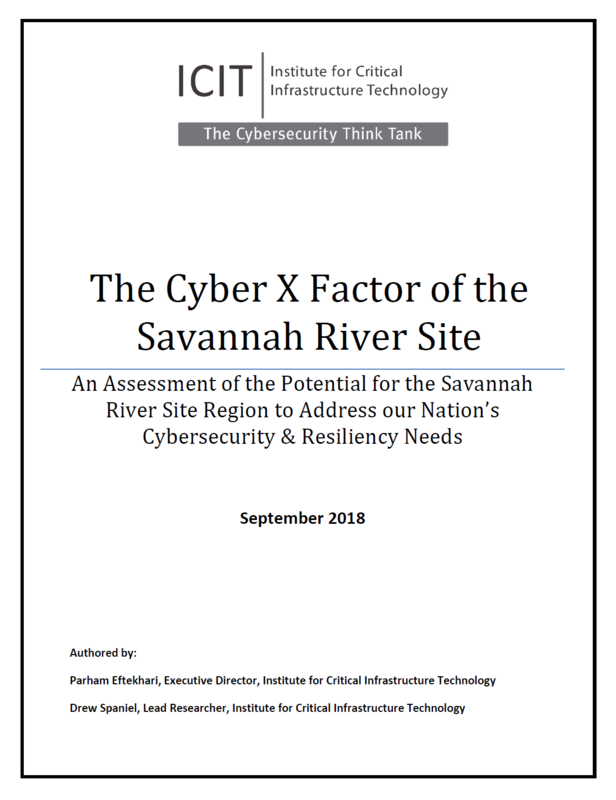 We encourage you to download the full report HERE to learn more about the potential for the Savannah River Site region to address our Nation’s cybersecurity & resiliency needs.